When you need top-quality steel pipes in Sydney, Waratah Steel Supplies can come to your rescue. We're a reputable steel supply business that's located in Prestons, New South Wales. Our business was established by Geoff Schuberg and Steve Hennessy. We're a trusted steel merchandising business that accommodates both retail and wholesale needs. 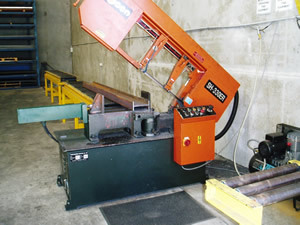 We enthusiastically cater to the steel supply needs of all kinds of fabricators. Our loyal customer base consists of resellers, fencing contractors, steel fabricators and beyond. Our flats, angles and channels are available in either black or pre-galvanised finishes. And our red painted pipe comes in a range of end finishes, including plain end, screwed end, and roll grooved. If you are unsure what steel product would work best for your project, we are happy to answer any of your questions. If you want to purchase steel pipes that are the definition of strong quality and craftsmanship, we're the ideal merchants for you. You can contact our helpful, courteous and knowledgeable staff at any time to find out more about all of our available products. Call us on 9608 9222 to learn more about all of the finest and most dependable steel products Sydney has to offer.